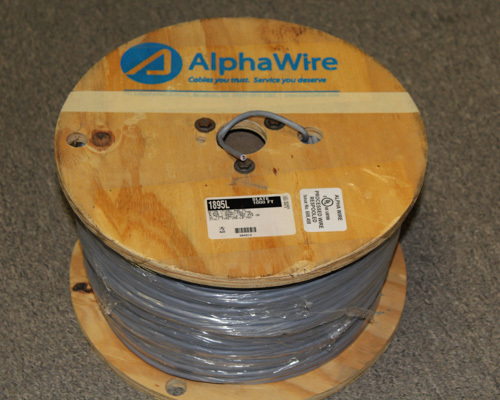 Alpha Wire 1895L-SL005 Multi Conductor Slate Cable. 2 Conductors. 20 AWG. 1000 Ft Long. Low Smoke Zero Halogen (LSZH) Jacket Insulation. 0.181" Jacket Diameter. UL Approved.